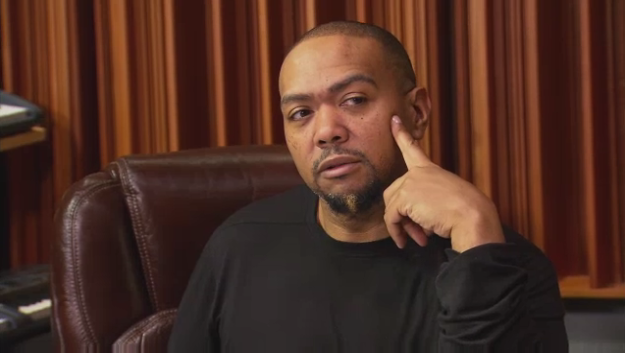 The world has been dancing to the beat of Timbaland’s drum for two decades now. The Virginia native’s distinctive production style has been the musical backdrop for a laundry list of acts, including himself. Timbo’s entry into the industry can be traced back to the ’90s as part of the creative collective, “Da Bassment,” which was spearheaded by Jodeci member DevanteSwing. After paying more than enough dues with the Jodeci camp, he along with fellow Bassment members Missy Elliott and Ginuwine struck out on their own to create music history. We obviously know about the monster records he’s created with the likes of Missy, Aaliyah, Justin Timberlake, Nelly Furtado and countless others. In honor of his amazing musical legacy, and more recently his work on the hit series Empire, let’s take a look at some of those unexpected moments in Mr. Mosley’s catalog. Although Devante Swing is credited as the producer, it was long suspected that Timbaland had a hand in this song’s creation. Back in 2011, Timbaland confirmed his involvement with a simple tweet. Many moons before he offended Kanye for winning Album of the Year, Beckteamed up with Timbaland for a David Bowie cover, the end result appeared on theMoulin Rouge Soundtrack. Although he didn’t flat out produce this, Timbaland hooked Coldplay up with his signature drums for the third single off their latest album. Is it us, or does the groove sound similar to another song in Timb’s discography?? NKOTB’s 2008 comeback album The Block,was full of top-notch appearances. Names such as Lady Gaga, Ne-Yo, Akon were all attached to the project. Timbaland got in on the action, as he produced this unexpected collab for the boys from Boston. When two of the greatest producers hip-hop has ever seen get together, history has to be made right? Kanye is on record saying drums are his “Achilles heel,” this might explain Timbaland taking over drum programming duties on this smash. This is probably the most unexpected collaboration of them all, Cher linked up with Timbo on her 25th studio album Closer to the Truth. Unless you’re a die-hard Cherfan, who owned the deluxe version of this album, then you more than likely missed this one. Kanye once again sought the wise counsel of Timbaland when it came time to get the drums right for his future hit. This time around, someone was wise enough to document this meeting of the minds. Teamwork certainly makes the dream work.